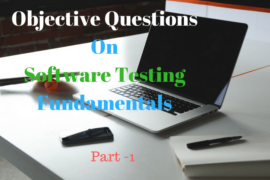 This set of multiple choice question includes objective questions on control flow statements which are used to control the flow of execution in a program. 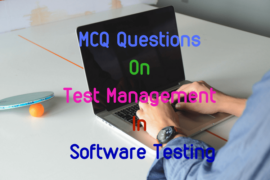 It includes MCQ question from decision making statements like if-else and switch statements, looping statements like for loop, while loop and do-while loop along with other statements like break, continue and label statements. 1. …………………….. statement provides an easy way to dispatch execution to different parts of your code based on the value of an expression. 2. State whether the following statements about switch statement are correct. i) Switch statement often provides a better alternative than a large series of if-else-if statements. ii)The break statement is used inside the switch to terminate a statement sequence. 3. The conditional statement, ………………. can only test for equality, whereas ………………. can evaluate any type of Boolean expression. 4. What will be the output of the following code snippet? 5. What will be the output of the following code. 6. In while and do-while loops, a ………………… statement causes control to be transferred directly to the conditional expression that controls the loop. 7. State whether the following statements about switch statement are True or False. i) No two case constants in the same switch can have identical values. ii) A switch statement is usually more efficient than a set of nested ifs. 8. State whether the following statements about conditional statements are True or False. i) The break statement is required in the default case of a switch selection structure. ii) A variable declared inside the for loop control cannot be reference outside the loop. 9. Which of the following control expressions are valid for an if statement? 10. In the following code snippet, which lines of code contain error? 12. By using …………………….., you can force immediate termination of loop, bypassing the conditional expression and any remaining code in the body of the loop. 13. The ………………………. loop is especially useful when you process a menu selection. 14. If you need to select among a large group of values, a switch statement will run much faster than the equivalent logic coded using ……………….. statement. 15. What will be the output of the following code. what will be the values of x and y if n=1. 17. The ………………. is an optional case, when it will be executed if the value of the expression does not match with any of the case values. 18. The ……………………… statement at the end of each block signals the end of a particular case and causes an exit from the switch statement, transferring the control to the statement following the switch. 19. The ………………… statement tests the value of a given variable against a list of case values and when a match is found, a block of statements associated with that case is executed. 20. State whether the following statements for if statement are True or False. i) When if statements are nested, the last else gets associated with the nearest if without an else. ii) One if can have more than one else clause.